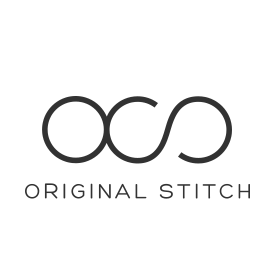 Here at Original Stitch, we value customer satisfaction, and we have tailored our system so your experience is hassle-free. We offer one free shirt remake of your original order. Our goal is to get you into a great fitting shirt! For this reason, we encourage our new customers to purchase only one shirt to start with. If you purchase more than 1 shirt in your initial order, we will only remake one, and offer the rest of the remakes at our cost. One free shirt remake will be offered, from your most recent order, to customers if they do not take advantage of the free remake of their original order. All of our remakes are subject to our minimum change limitations. Free shipping on the remake order. There are minimum change limitations. Please click here for more details. We do not offer remakes based solely on design, fabric, or monogram preference. Sizing adjustments confirmed or provided by the customer will not be remade either. Our fabrics are on a rolling basis and we cannot guarantee that we will have your fabric in stock for a remake. Rest assured, we will do everything we can do to help you in this circumstance. Please be ready to supply front and side photographs of yourself wearing the shirt. Customer service will need them to diagnose sizing issues when getting you into your perfect fit. You can start a remake request on your purchase history page or by writing to us at support@originalstitch.com. Can I change my sizing after I placed the order?